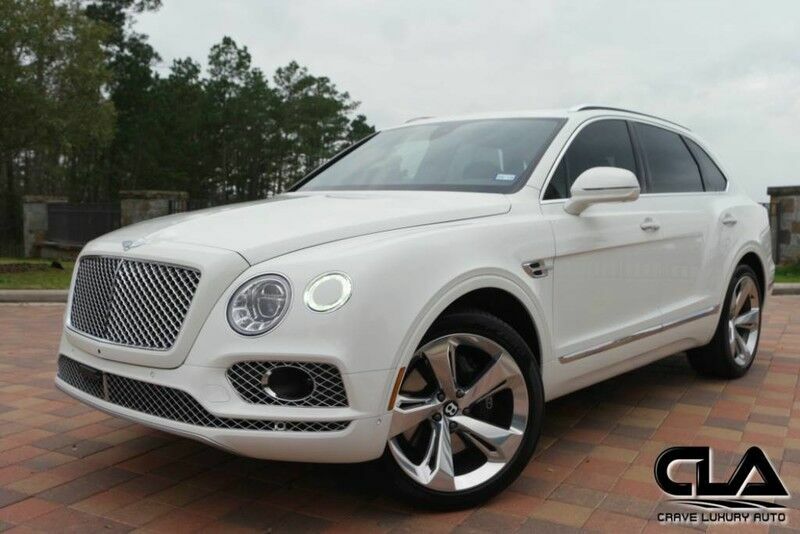 Client Advisor - This 2018 Bentley Bentayga Activity Mulliner is in excellent like new condition. Showing only 5,140 miles, and Hard loaded with options including: Mulliner Driving Spec 22" wheels, Front seat comfort specification, Body-colored lower body work, Bright chromed upper and lower Mulliner Matrix grille, Veneered centre facia panel, Deep pile floor mats for front and rear, lambswool floor mats, Heated front seating, full panoramic roof, Bentley signature audio system, driving assist, blind spot assist, reverse camera, front and rear parking sensors, high beam assist, navigation with Bluetooth, Third row seating, soft close doors, "Bentley" puddle lights on all doors, Gearshift sport paddles and much more! Clean one owner carfax, non-smoker, both keys, and books! Do not miss this ultra rare opportunity to own one of, if not the best color combinations you can get on a Bentayga. We welcome any pre-buy inspections before purchase and can help facilitate door to door shipping to anywhere in the world at an affordable price. Crave Luxury Auto is located in The Woodlands, TX (north side of Houston, TX). Call us and schedule an appointment to visit Crave Luxury Auto. If you have any questions or would like to schedule a test drive in this vehicle, please call us anytime at 281.651.2101 . Thank You for visiting another Crave Luxury Auto Listing! You can always view our online inventory direct at www.craveluxuryauto.com . If you prefer to communicate via email, one of our representatives are always available at craveluxury@gmail.com . Crave Luxury Auto offers an extensive range of superb, low mile, exotic and luxury automobiles. Trade-in proposals are always welcome.